One of the great things about living in Texas are the traditions of Mexico. Of course, Texas was part of Mexico prior to the Texas Revolution of 1836. But, even after the Texicans took over, most of the Mexican traditions that were here before stayed, thrived, and were & are loved. 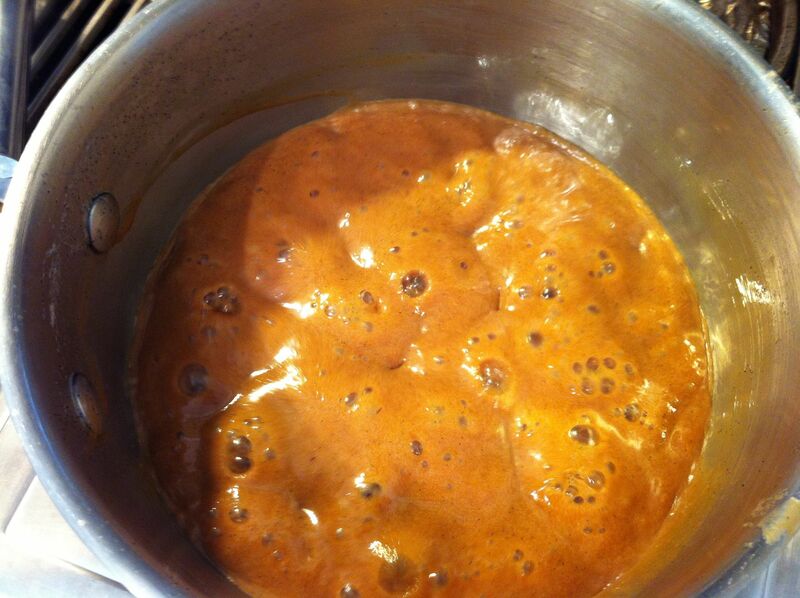 Here is one of my favorite recipes: Cajeta. Goat’s milk caramel. The word came from the Spanish phrase “al punto de cajeta”, which means a liquid thickened to the point at which a spoon drawn through the liquid reveals the bottom of the pot in which it is being cooked. No doubt you’ve seen cajeta on shelves in the grocery, especially those that cater to the Hispanic market. My favorite off-the-shelf brand is Coronado. Cajeta can be used as an ice cream topping, in sweet recipes, over apples, on and in cakes, on churros (sweet fried dough), and even eaten straight out of the jar. Admit it. We’ve all done it. Now, to the nuts and bolts of the recipe. The most important thing is patience. This is not a quick recipe. It takes about 2 – 3 hours to cook. If you do a larger quantity (this recipe is easily doubled), it could take 4 – 5 hours. The second most important thing is a heavy-bottomed saucepan. This will help keep the milk from scorching as you slowly cook it down. If you use a thin-bottomed saucepan, the likelihood of scorching increases expedentially and all your work will be wasted. Have a large bowl or a large baking dish nearby. 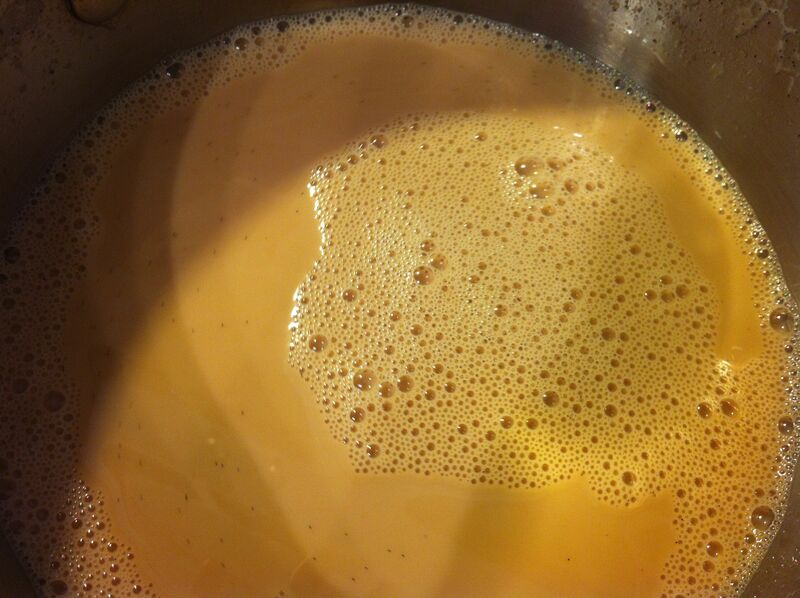 In a 3-quart saucepan over medium-low heat, combine the milk, sugar, salt, and vanilla. Stir frequently until the mixture comes to a boil. Remove the saucepan from the heat and place it in the bowl or baking dish. Stir in the baking soda. 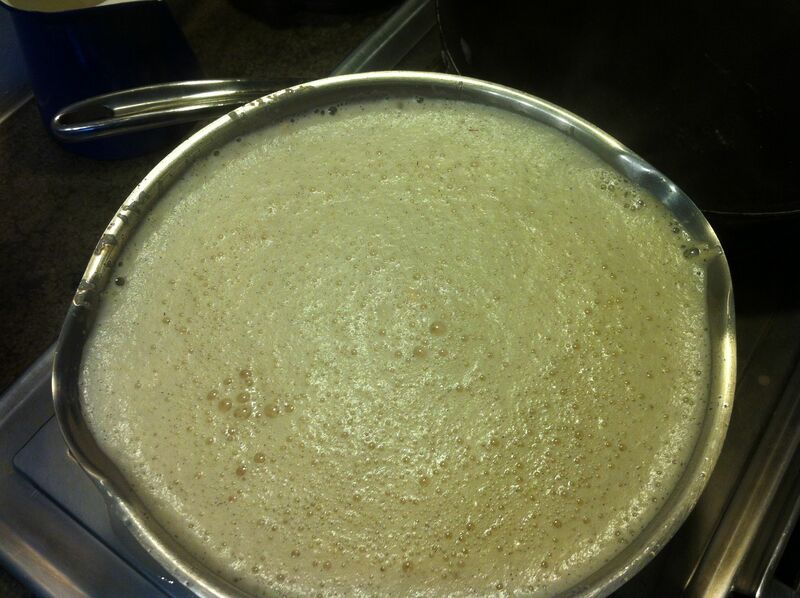 The mixture will foam up – a lot. Hence the bowl or baking dish to contain the spill-over. 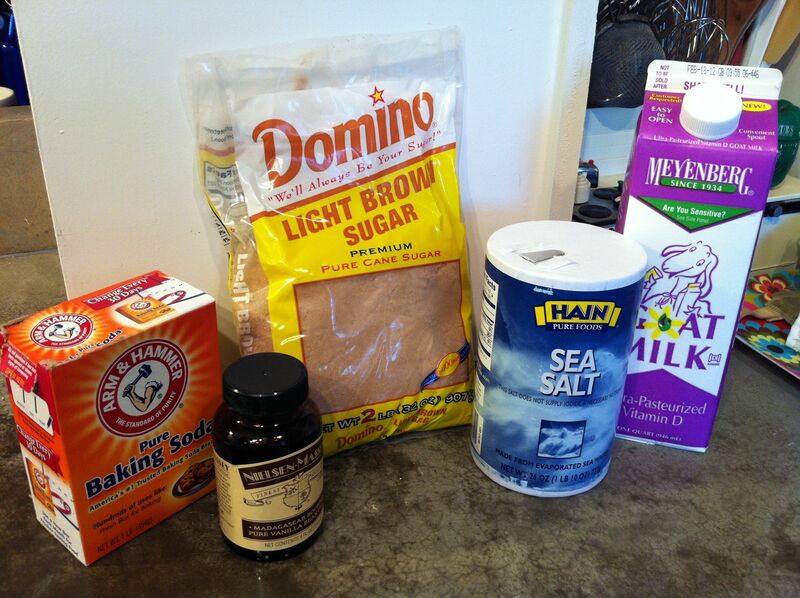 What the baking soda basically does is change the chemical composition of the mixture to make it “softer”; i.e. to help keep it from sugaring up. Keep stirring until the foaming subsides a bit. If there is spill-over that has coated the outside and bottom of the saucepan, be sure to wipe it off before putting it back on the burner. If you can, pour any milk that ran out of the saucepan back in. Continue cooking over low heat, stirring frequently. You don’t want to walk away for too long or you run the risk of scorching the milk. The whole process will take about 2 – 3 hours. It seems like a very long time, but the end result, when everything is done properly, it’s worth your time. After about 1 1/2 hours. Note how the milk is beginning to thicken. 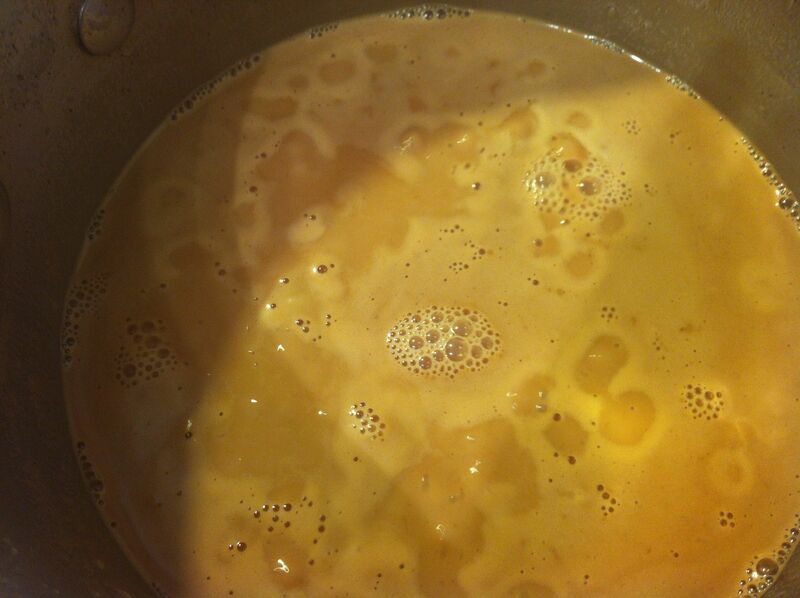 When you have reached the point where the cajeta has thickened significantly, be sure to stir constantly to keep the mixture from burning. Continue cooking until the cajeta has reached 220F on a candy thermometer or until it thickly coats the back of a spoon. 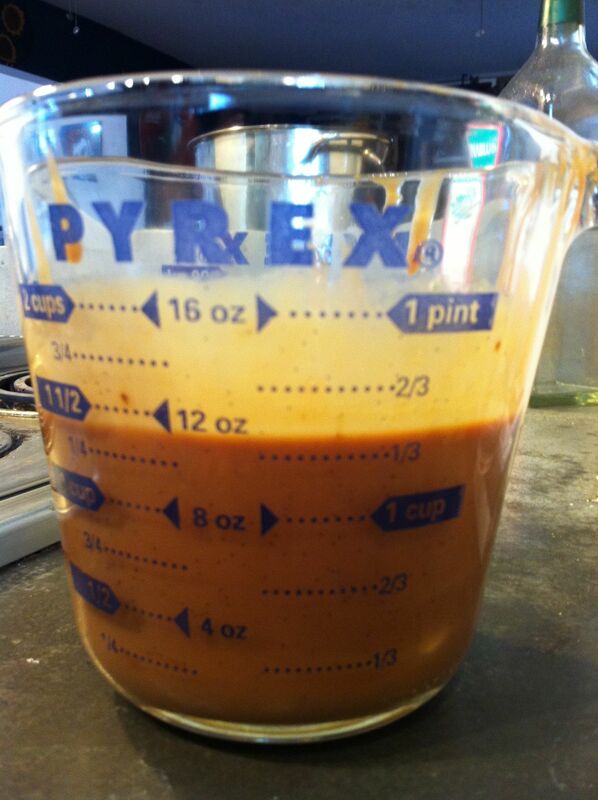 When the cajeta is done, pour the mixture into a bowl or measuring cup. If there is a any cajeta that looks like it might be too dark (like it’s about to burn), don’t scrape it off into the cup. 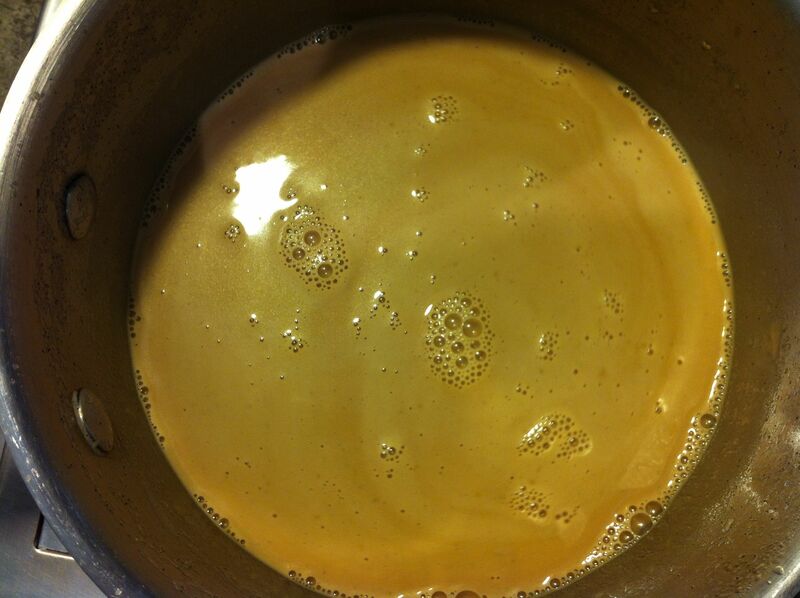 You’ll end up with roughly 1 1/4 – 1 1/2 cups of cajeta. 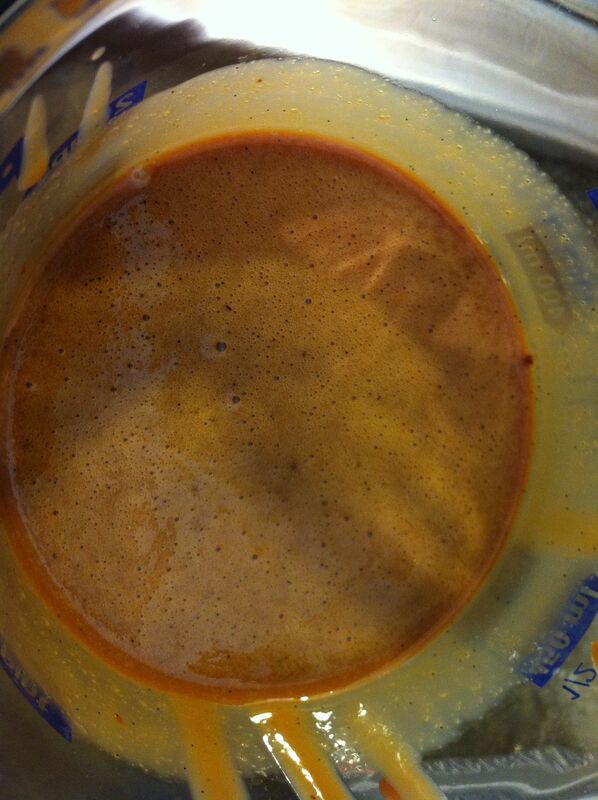 This will keep in the refrigerator, covered or in an airtight container, for about 2 – 3 weeks. If it lasts that long. Try not to eat it all sitting in front of the TV.